Luvable Friends 5-Pack Caps are ideal for everyday use. 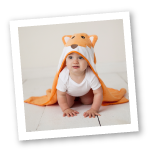 Made of 100% cotton, these caps are soft and gentle on baby's skin, but durable and machine washable for every day use. 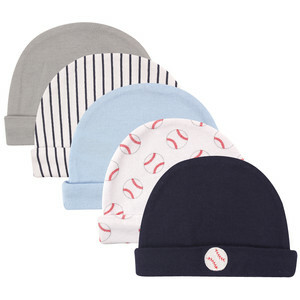 Perfect for keeping baby's head warm and safe from the sun and cold drafts. This Value 5-Pack comes with 2 solid color caps, 1 cap with a design on the brim, and 2 patterned caps that all have coordinating colors and designs for a great matching set! Please note, this item tends to run small and is intended for newborn use.